New for 2014: Now available in all sizes with Trimmer Riser System! The X-wing TONIC.16 is the essential companion, whether when flying at your local mountain, for a hike & fly, on vacation or as your second wing. Because the liklihood of getting into the air just increased x-fold – for every pilot. The design of the TONIC is simple and straightforward. Handling is precise and smooth. 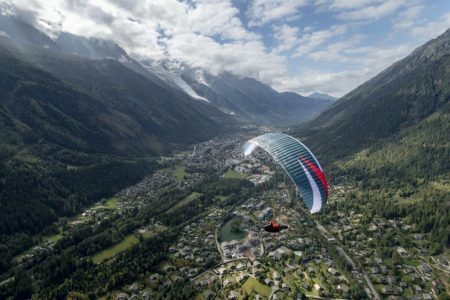 The performance of this paraglider makes it possible to fly from every hill. When the thermals set up, simply turn with them. 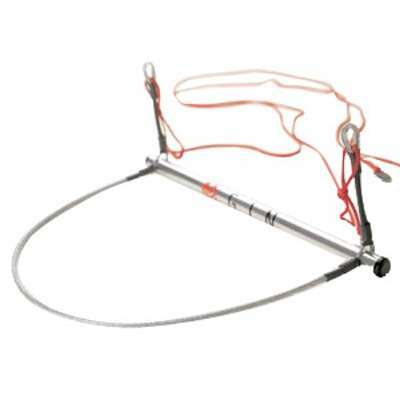 Fun ridge soaring or dynamic curves are easy to generate with the brakes – the righting moment offers the necessary safety for hobby pilots, too. Additional handling features in different terrain complete the TONIC as X-wing! There is only one way to measure the TONIC – FUN! Handling is very direct, the TONIC masters very small radius turns. Steering pressure is thoroughly enjoyable, but naturally depends upon the wing load. At low load, the TONIC is very good natured, if you fly it close to the limit, it shows characteristics of a mini-wing. Thanks to the good performance, you can launch from very flat sites. As soon as there are thermal conditions, the TONIC will stay up. The stability of the TONIC is extraordinarily good and thanks to a high trim speed and with the appropriate load it can still be flown at stronger wind speeds, while other gliders are grounded. A wing for mountain climbing, coastal soaring, or just to fly down and have fun! For such a small, simply constructed wing, the TONIC has an amazingly high glide ratio. At a comparatively small surface area, sink naturally depends heavily on the surface area load. With the TONIC, this is more than sufficient to stay up even on weak thermal days. The trim speed is high especially with full load and the speed system is very effective. This predestines the TONIC for coastal soaring, among other things. With the TONIC we have broken new ground. You could also say that we have gone back to the roots! The TONIC is constructed simply, with a comparably low number of cells as well as inner reinforcement bands, to list just one construction feature. Thanks to flexible nylon reinforcements and light cloths, the TONIC weighs just 3 kg with a correspondingly small pack size. An automatic desanding system keeps the TONIC free of sand and stones even when flying in the dunes. With only 3 line levels, the TONIC has a very low total of line meters and therefore very good performance, despite the uncomplicated construction.